Neptune Energy has submitted the Field Development Plan for Seagull in the Central UK North Sea to the Oil and Gas Authority. Neptune Energy announced that Neptune and its joint venture partners BP and Japex have agreed on the final investment decision for the Seagull oil project. 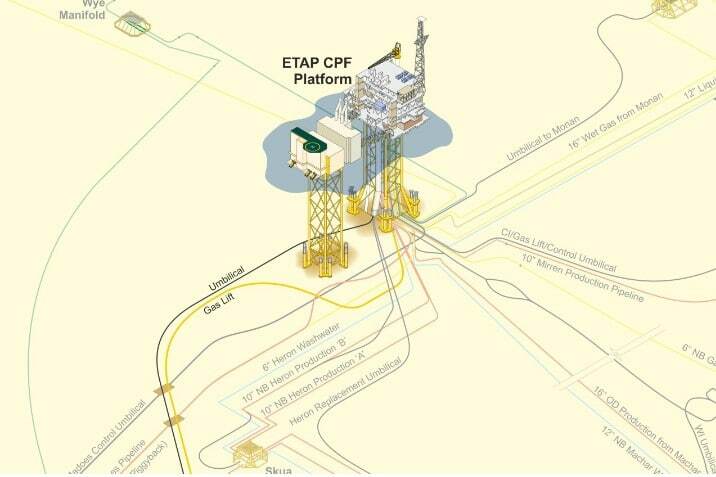 Seagull is a high pressure, high temperature development located in the Central North Sea on UK licence P1622 Block 22/29C, 17km south of the BP Operated ETAP Central Processing Facility (CPF). 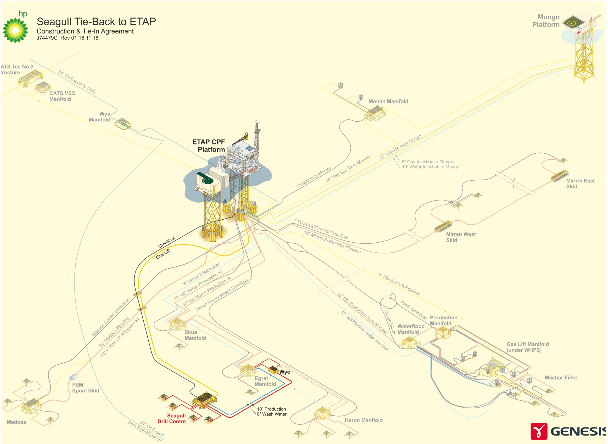 Seagull will be tied back to the ETAP CPF partially using existing subsea infrastructure. Gas from the development will come onshore at the CATS processing terminal at Teesside, while oil will come onshore through the Forties Pipeline System to the Kinneil Terminal, Grangemouth. Seagull is expected to initially produce around 50,000 barrels of oil equivalent per day (80% oil) across its 10-year design life. Proved plus probable gross reserves are estimated at 50 million barrels of oil equivalent. Execution works will commence subject to the OGA’s approval of the submitted Field Development Plan with first production planned by the end of 2021 according to the operator. Partners in Seagull are Neptune, who is the operator and has a 35% equity interest, BP with 50% and Japex with 15%. Neptune acquired its interest in Seagull from Apache North Sea in 2018. Seagull was originally located in P.012 and was discovered by Shell and Esso in 1991/992. The license was relinquished in 2010 (Read the relinquishment report). The Seagull oil discovery well 22/29-2 encountered a 441ft (134m) oil column in Triassic Skagerrak sands beneath a well-defined faulted anticline at Base Cretaceous level. The reservoir quality of the sands was relatively poor by comparison with the neighbouring Heron and Marnock discoveries. An appraisal well 22/29-3 was drilled in late 1992. This well encountered oil bearing Upper Jurassic mass flow sandstones above oil bearing Skagerrak Sands, also of relatively poor quality. The Triassic section was extensively cored, and found to be highly tectonised, with abundant cemented fractures. Until 2004, the poor quality reservoirs were attributed to the interpretation of the structure as a highly faulted and fractured salt withdrawal turtle structure.It was believed that Seagull had suffered internal deformation structures due to the complete evacuation of the underlying Zechstein salt far in excess of that experienced by neighbouring. For example the nearby Heron field has a relatively unfaulted internal structure which was related to the preservation of underlying Zechstein Salt. In 2004 a new static model was produced by Shell, prompted by the interpretation of the poor reservoirs in the 22/29-3 well as Lower Judy sandstone. Furthermore, the poor quality of the 22/29-2 well was interpreted as due to the erosion of the higher quality Skagerrak units more commonly associated with the upper parts of the Judy (Heron) member, as had been demonstrated by numerous studies since the drilling and initial interpretations of the Seagull wells. The 2004 study concluded that the Seagull reservoir would consist of field-wide poor quality lower Judy and Bunter members. No fault was recognised in the 22/29-3 well. In 2006, a re-examination of the data in a play wide review of Triassic reservoir performance, as well as the recognition of a major fault within the Triassic penetration of the 22/29-3 well led to the conclusion that the main reservoir at Seagull is in fact the much higher quality Upper Judy sandstones typical of the ETAP cluster. Shell never conducted a complete re-evaluation of the well test results from the 22/29-3 in the light of the 2006 review but relinquished the license in 2010. In 2015 Apache drilled another appraisal well in the Seagull Discovery and confirmed 672 feet (205m) of net oil pay over a 1,092-foot (333m) column in Triassic-age sands. The well was flow tested with a facility-constrained rate of 8,700 Bpd and 16 MMcfd with a very low pressure drawdown. After this successful test Apache started preparing the development of Seagull but instead of going ahead with the project, sold it to Neptune, who is now operator.